OK. It’s official. I can report that the coolest, hippest place where it’s all happening during Britain’s most successful Olympics games ever is the pop-up Private Members Club – OMEGA House, celebrating Omega watches famous link to the Olympics since 1932 and the athletes, celebrities and guests of this stellar brand. 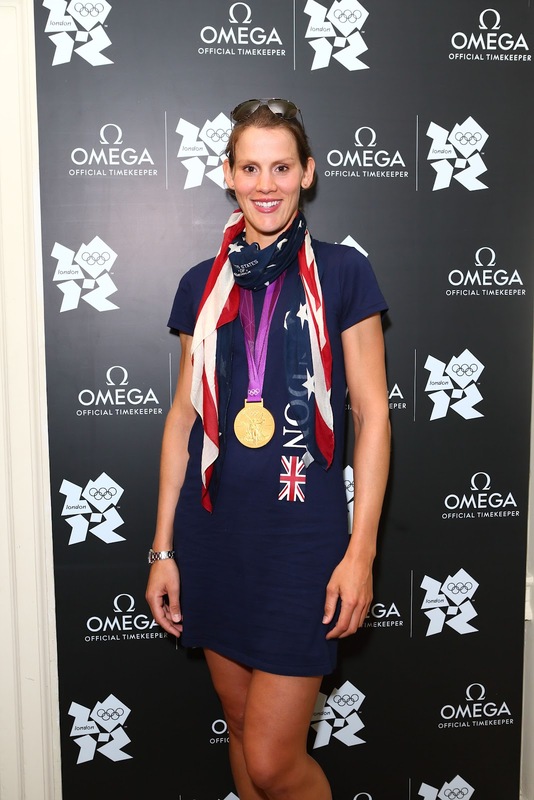 No timekeeper in the world has a longer or closer relationship to the Olympic movement than Omega. There’s nothing quite like the success of Team GB at London 2012 to create a buoyant mood of joy – it’s like the country’s on one big party high and OMEGA House is the focal point and where the athletes enjoy their post games celebrations with every night having a different theme. 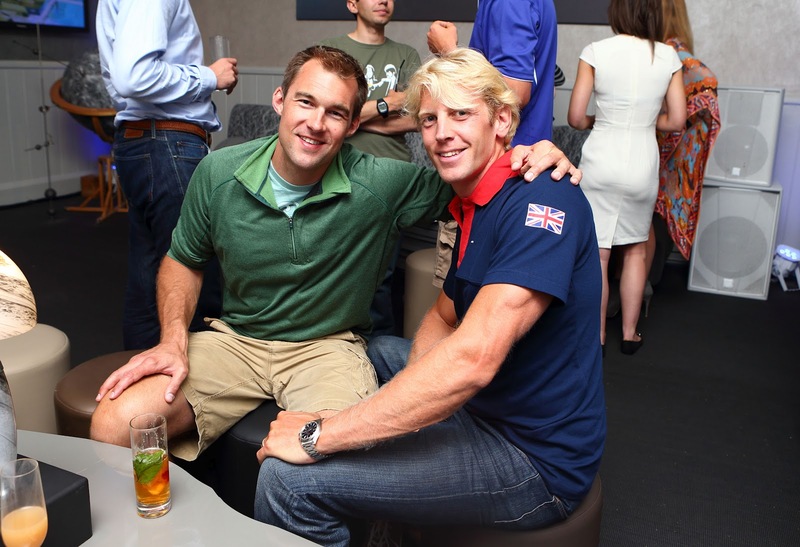 The evening saw a host of London 2012’s top athletes – including the men’s GB gymnastics team, Pete Reid, Peter Wilson and rowers from both England and Norway including Andy Hodge –celebrating their recent successes. 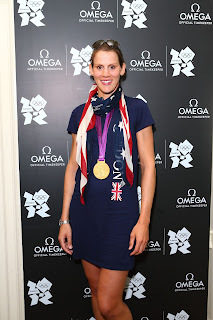 Britain’s first gold medallists of this year’s games, Helen Glover and Heather Stanning were also seen revelling in their recent win and mixing with the other athletes. Celebrity tailors Ozwald Boateng and Patrick Grant were seen catching up with Eastenders star, Preeya Kalidas and Kelly Brook whilst Australian actor and ‘True Blood’ star Ryan Kwanten also attended the party with fellow Australian Asher Keddie, before heading off to watch the basketball. 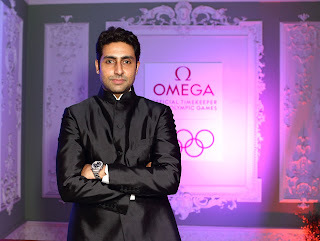 VIP attendees included: Abhishek Bachchan, OMEGA President Mr Stephen Urquhart, Ozwald Boateng, Ryan Kwanten, Preeya Kalidas, Asher Keddie, Henry Conway, Pete Reid, Helen Glover, Heather Stanning, Louis Smith, Peter Wilson, Jenn Suhr, Rufus Hound, Noelle Reno, Mark Foster, Patrick Grant, Andy Hodge and DJ Vix. I’m already looking forward to Friday’s Brazilian night theme. OMEGA House, you win the gold medal for London’s Coolest Club.